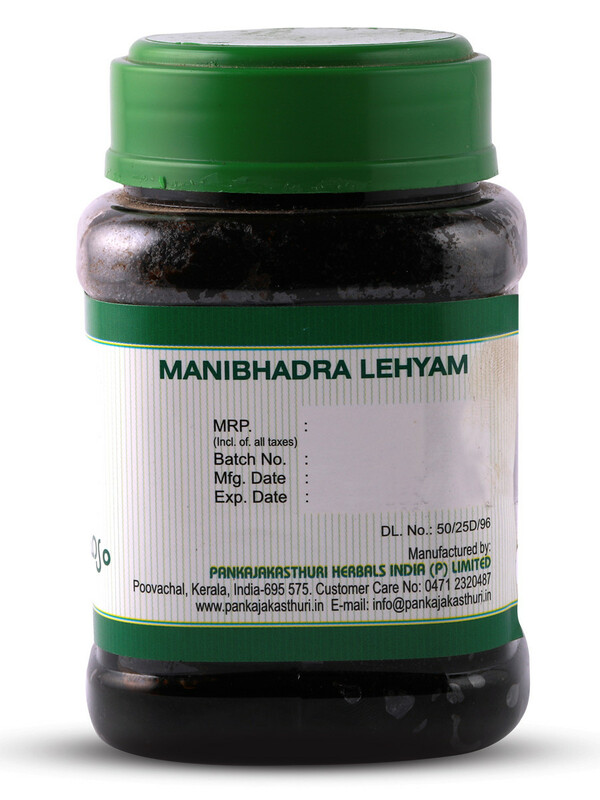 Manibhadra Lehyam (jam/paste) has the base ingredient as jaggery. 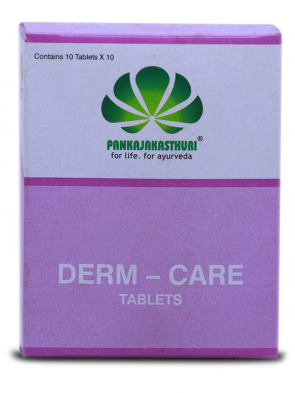 * Antimicrobial properties of this medicine help to fight various bacterial, viral and fungal infections. 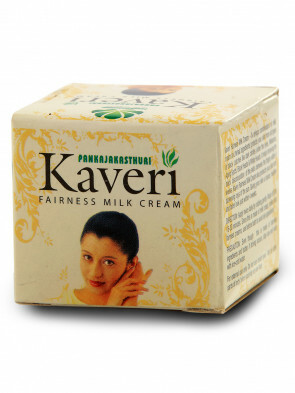 * The medicine helps in natural healing of wounds, and helps to provide relief from itching, dryness, rashes etc. 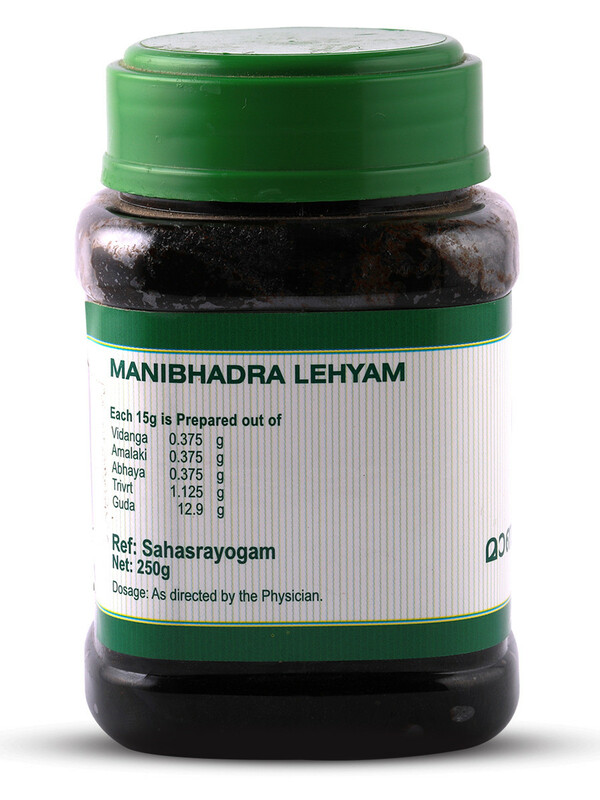 * Jaggery used in the medication attracts the worms to the intestine while other herbs used in the preparation help eliminate them. 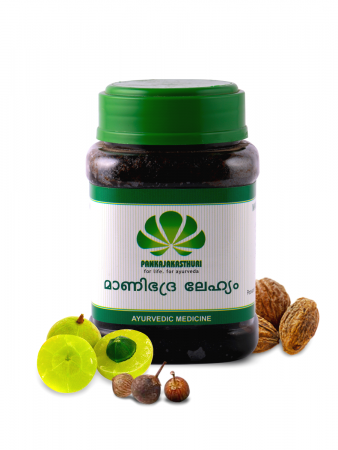 * It is often useful in jaundice, anaemia, skin trouble, leucoderma, asthma, cough, ascitis, piles, spleen ailments, colic, worms and gulma. * Overdose of this product may result in purgation. 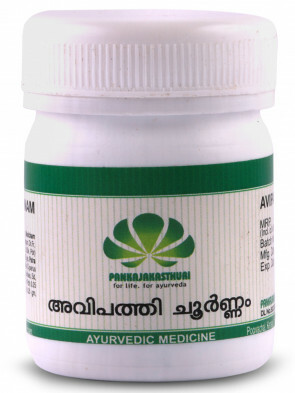 * Diabetics and children need to take the product after consultation with an Ayurvedic doctor. * The product is not recommended for pregnant women and lactating mothers. Adult: 10 - 20 gm early in the morning or as directed by the physician.